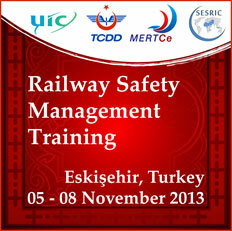 The Statistical, Economic and Social Research and Training Centre for Islamic Countries (SESRIC) organised a training programme on ‘Railway Safety Management’ in collaboration with the Turkish State Railways (TCDD) and International Union of Railways (UIC), on 5-8 November 2013 in Eskişehir, Turkey with the participation of 135 participants from 11 OIC Member Countries. 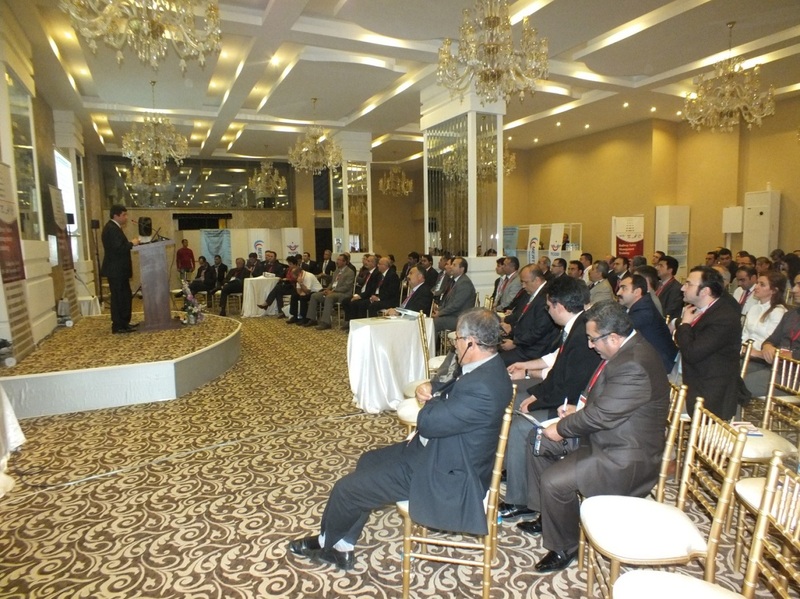 SESRIC was represented at the Programme by Mr. Mehmet Fatih Serenli, Director of Training and Technical Cooperation Department. 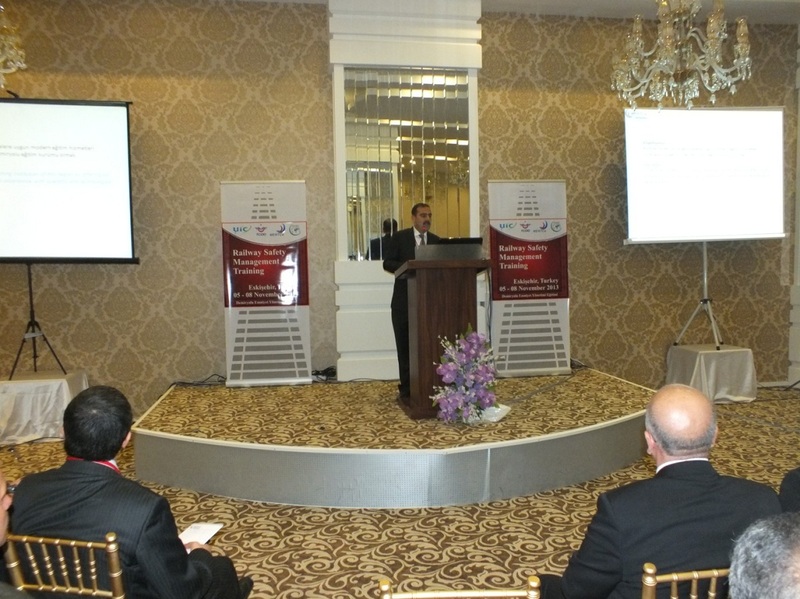 The training programme started with the opening statements of the TCDD, UIC, Middle East Railway Training Centre (MERTCe) and SESRIC. 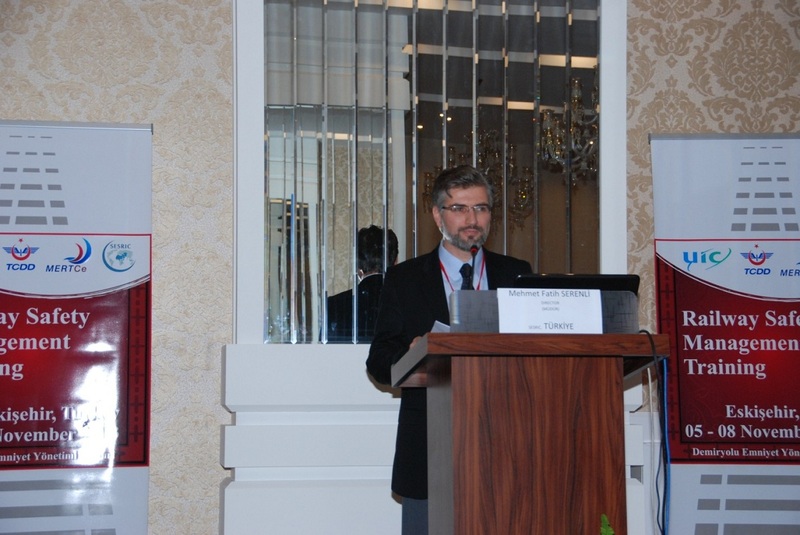 In his inaugural speech, Mr. Mehmet Fatih Serenli, Director of Training and Technical Cooperation Department of SESRIC, welcomed all participants from 11 different OIC Member Countries and briefly explained the Centre’s activities in general and OIC-VET’s activities in particular. 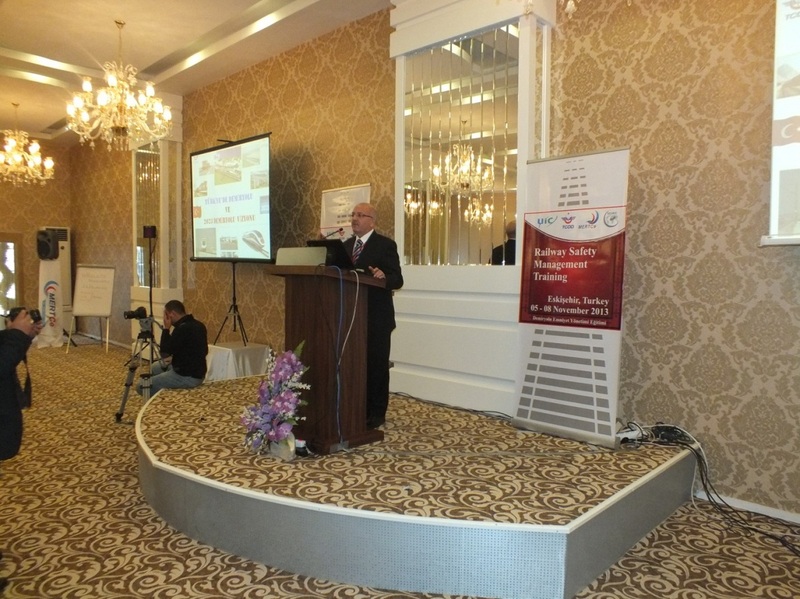 Mr. Serenli mentioned the lack of rail lines in the OIC Member Countries and indicated that the average length of railway serving 1000 people is only 70 meters within the group of OIC Member Countries, while the world average is 170 meters. He stressed that the poor figures in OIC Member Countries are mainly caused by the stagnant rail line infrastructure growth coupled with the increasing population. Mr. Serenli also highlighted the observation from SESRIC’s research papers that the improvement in overall railway figures for OIC Member Countries as a group has so far been relatively poorer in comparison to those of other developing countries and the world. Finally, he concluded that recognising of these setbacks and in line with the COMCEC Strategy that was adopted by the Fourth Extraordinary Session of the Islamic Summit Conference held in Makkah al-Mukarramah on 14-15 August 2012 the Centre initiated Railway Capacity Building Programme (RW-CaB) within the framework of OIC-VET Programme. 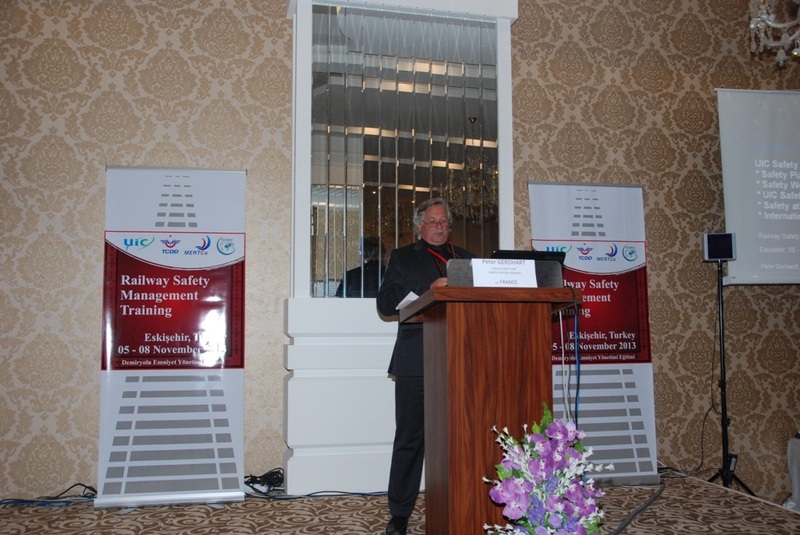 The training programme was the follow up of the Workshop on ‘Railway System Technologies’ held on 17-21 June 2013 in Eskişehir, Turkey and dealt with the different aspects that encompass a Railway Safety System from its organisation to its management, including risk assessment, accident and incident investigation, monitoring and supervision. 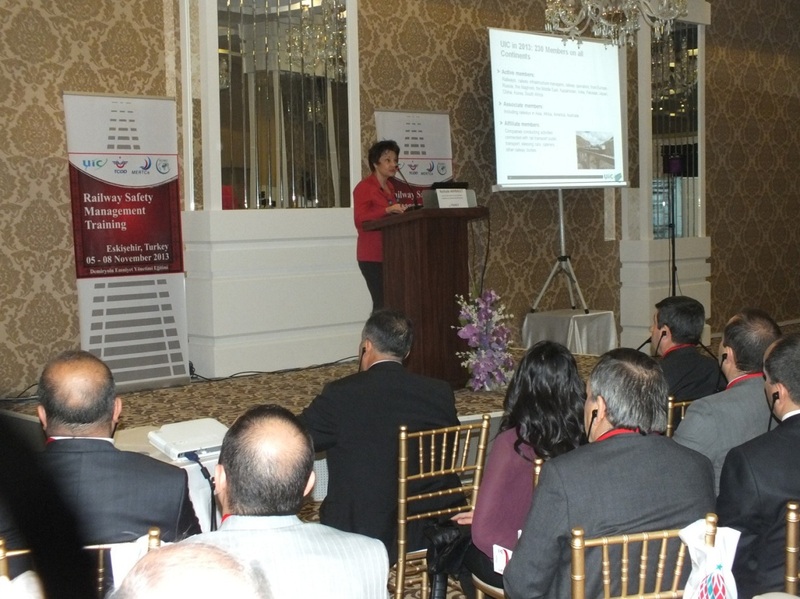 The training targeted managers/experts in charge of safety management and/or accident and incident investigation.